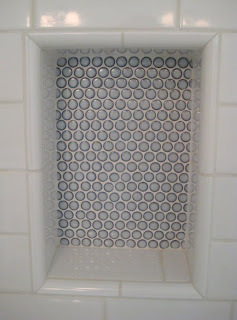 Love the pop-bottle inspired tile niche!! You've got a nice blog and excellent tastes. Thanks for checking out our blog. It'll be years before we get to your level. 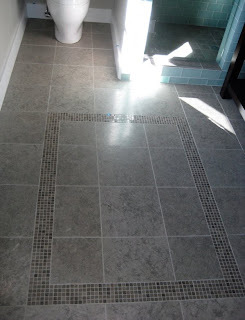 probably not the best for a bathroom floor though! Hey, great post, very well written. You should blog more about this! 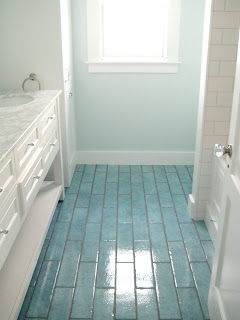 Love the flooring! Very thought out suggestions! Appreciate your blog! 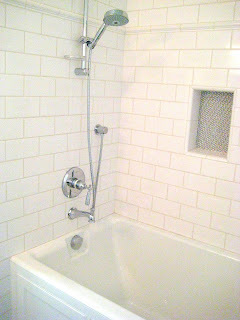 Very clean look for your bathroom. 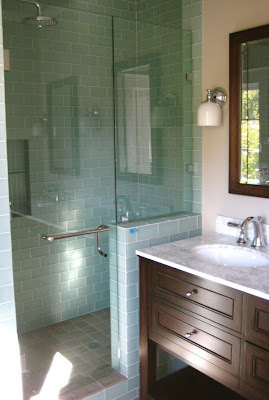 That is the most important thing to prioritized, making your bathroom a pleasant one. The design of this bathroom is beautiful. It is very calming and clean to my eyes. The floor is awesome, too. I want to build something like this, perfect for my new built house.